Elmore County is a county located in the U.S. state of Idaho. As of the 2010 census, the population was 29,130. The largest city and county seat is Mountain Home. 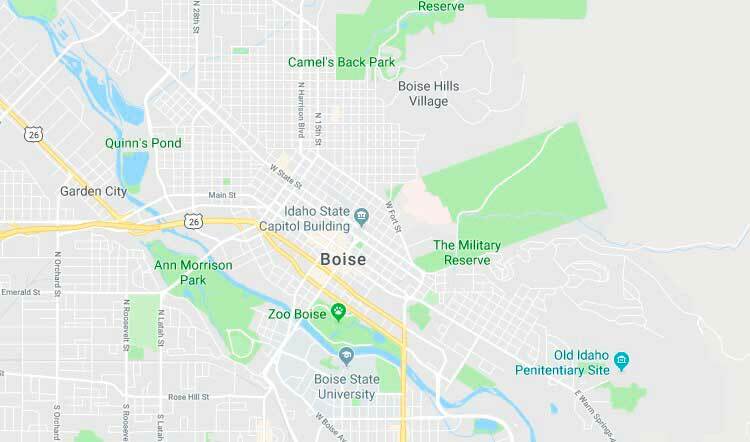 Elmore County comprises the Mountain Home, ID Micropolitan Statistical Area, which is also included in the Boise-Mountain Home-Ontario, ID-OR Combined Statistical Area. According to the U.S. Census Bureau, the county has a total area of 3,101 square miles (8,030 km²), of which 3,075 square miles (7,960 km²) is land and 26 square miles (67 km²) (0.8%) is water. Elmore County's highest point is Snowyside Peak at 10,651 feet (3,246 m) above sea level, located in the northeast corner of the county in the Sawtooth Wilderness. The lowest elevation in the county is the Snake River in the southwest corner, at less than 2,500 feet (760 m). As of the 2010 United States Census, there were 27,038 people, 10,140 households, and 7,135 families residing in the county. The population density was 8.8 inhabitants per square mile (3.4/km²). There were 12,162 housing units at an average density of 4.0 per square mile (1.5/km²). The racial makeup of the county was 82.2% white, 2.8% Asian, 2.7% black or African American, 1.0% American Indian, 0.4% Pacific islander, 6.8% from other races, and 4.1% from two or more races. Those of Hispanic or Latino origin made up 15.2% of the population. In terms of ancestry, 20.4% were German, 13.5% were English, 12.4% were Irish, and 9.0% were American. Of the 10,140 households, 38.6% had children under the age of 18 living with them, 56.6% were married couples living together, 9.4% had a female householder with no husband present, 29.6% were non-families, and 23.8% of all households were made up of individuals. The average household size was 2.60 and the average family size was 3.11. The median age was 30.0 years.